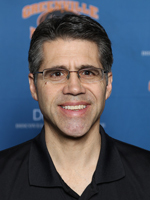 Track and field has a multitude of events and requires a certain level of wisdom and experience for the coaching staff to produce a winning team. 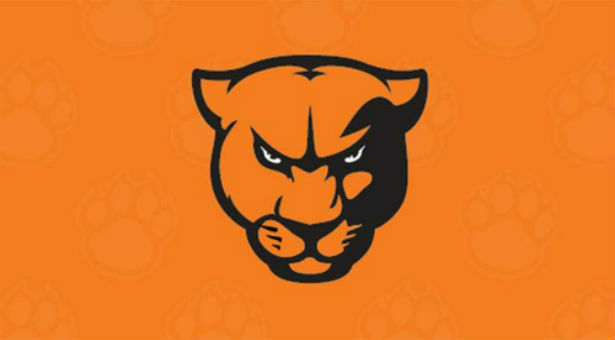 Within the last year, the Greenville University Track and Cross-Country Team has been aided by Coach Scott Wilson, the assistant cross-country coach, sprints coach, director of intramurals, and adjunct professor. He has enjoyed his time at Greenville thus far, and we as a team have appreciated his presence as well. Coach Wilson has become popular on the team for his technique instruction. If an athlete is doing something wrong or the workout just isn’t clicking, athletes typically look to him for a diagnosis. Collin Kessinger, a mid-distance runner, appreciates the way Wilson explains the physical and biological factors of the sport. Kessinger prefers to think technically and has valued how applicable Wilson’s methods are. He admires Wilson’s ability to “go beyond being a coach that says go out there and run faster” and the way his expertise makes it seem as if we have two head coaches. Coach Wilson. Media by B.J. Schneck. “Dorsiflex pop pop pop!” is a frequent phrase Wilson uses when displaying proper turnover form within a sprint according to many of the athletes listed above. Each would have stated at least once that Wilson is just a really positive individual with a lot of wisdom. Nathan Potts, mid-distance, claimed that Wilson really does bring a wide variety of expertise to the table with running and coaching. Wisdom and positivity are the repeated characteristics proclaimed of Wilson throughout the team, and it appears as if that in itself has made an impact on the team. Coach Wilson has benefited Greenville running for roughly over a year now and will, God willing, continue to help the track and cross-country team strive. Coach Wilson and the track team look toward roughly four more weeks of competing. 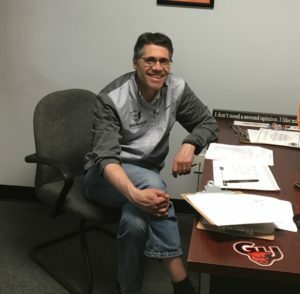 Within the next couple weeks, everyone will need to, as Wilson would put it, “trust the process.” Check out the interview below for more of Coach Wilson’s wise words!